Crews are battling a large blaze about 50 miles northeast of McGrath, dubbed the Medfra Fire. The fire is about 20 miles from the small community of Medfra. A mountaineer from the Czech Republic is dead after an estimated 1,500-foot fall on Denali Mountain. The National Park Service reports 45-year-old Pavel Michut was skiing Messner Couloir when he fell Saturday. Congress is considering funding a new icebreaker to serve in the Arctic. 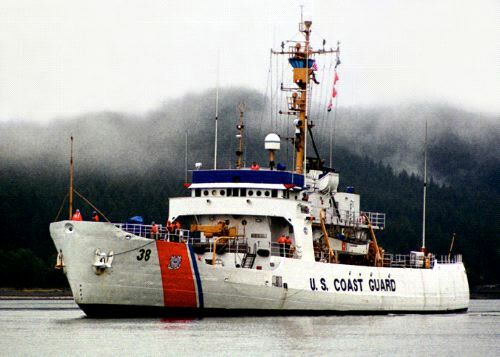 It would be a heavy, polar-class Coast Guard cutter, to get through thick ice. But size isn’t everything when it comes to Coast Guard ships. A Juneau man has made a film about the Storis, a dainty icebreaker by polar standards, that rescued mariners and enforced the law along Alaska’s coast for almost 60 years. The state is seeking contractors to look into the feasibility of privatizing four of the Alaska Department of Health and Social Services’ juvenile detention facilities. On a busy summer day, thousands of people — mostly cruise ship passengers — visit Juneau’s Mendenhall glacier. The U.S. Forest Service wants those tourists to take in the dramatic views, but also consider why the glacier is shrinking. Visitor center director John Neary is making it his personal mission. An unusual bird was spotted in two separate Southeast towns on the same day recently. The ibises were a rare treat that has left bird experts scratching their heads, wondering why these southern birds have landed in Alaska. After 26 years, it’s the end of an era for Unalaska’s preschool. Writer Sumner MacLeish listened to our report last week on the difficulty, expense, and stress for rural residents trying to get rid of bed bugs. MacLeish has lived in rural Alaska but it was not until she got to Anchorage that she first encountered Cimex lectularius.